Why is the word ‘fat’ when used in its setting of being an essential macronutrient, so frightening to people? Of course from a physique stand point no one wants to be “fat” per say, but the foods that contain good healthy fats do not lead to weight gain or poor health. So many low fat and fat free products have been shoved in our faces, making us fear something that our bodies actually need. Terms like ‘low fat’ and ‘fat free’ are marketing slang for “this product contains a bunch of chemicals that are terrible for your health.” There are 3 types of fats you need to be aware of; saturated, trans, and unsaturated. Limit saturated fats and stay away from trans fats whenever possible. 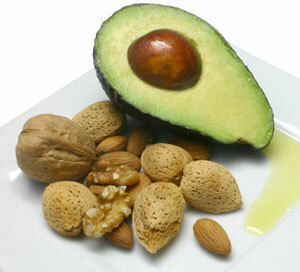 Unsaturated fats however, are mandatory for optimal health. Actually, interestingly enough there is a form of nutrition called the “ketogenic diet” which is a high fat diet. In the keto diet, macronutrient ratios are typically 65% fat, 30% protein and 5% carbohydrate (with a cyclical high carb day) and this is a diet that some body builders use to lower their body fat percentage. I’m not recommending the average person take a keto approach to nutrition as carbohydrates are also an important factor in your health, I am however letting you know that it is possible to eat high fat and lose fat mass. So what types of fat sources should you be using? Look for fats that come from whole natural foods such as avocados, raw nuts/nut butters, coconut milk, extra virgin coconut oil, extra virgin olive oil, and animal protein. Yes, animal fat. Another myth that must be busted! Animal protein is unsaturated although it has been given a name by someone, somewhere along the line and is often believed to be saturated. The human species evolved eating animal protein and we need our healthy omega 3’s found in varieties of fish and grass fed beef. Billions of years of evolutionary success is not the problem. New age low fat and fat free products are the problem! Don’t eat meat? That’s fine, but be sure to eat the other fats we mentioned and ensure you are consuming enough protein. If you have any questions about how to effectively consume fat in your diet please contact us schedule@kalevfitness.com, 604-568-6006, or pop by the front desk to schedule an appointment with one of our nutritional trainers. Stay tuned for my next nutritional blog as I will be explaining the dangers of protein deficiency, appropriate protein ratios, and non meat sources of protein that give you a complete amino acid profile.